The Irish actor will narrate Part One of RTÉ's new three-part documentary series titled ‘The Irish Revolution’, which airs at 21:35 on February 4th. The upcoming documentary series will focus on the events of the first Dáil in 1919, the War of Independence and the subsequent Irish Civil War in one of many productions to celebrate the centenary memorial of the War of Independence from RTÉ. The series is based on the well revered Irish history text ‘The Atlas of the Irish Revolution’, which picked up the Bord Gáis Energy Book of the Year award in 2017. The book is a collection of scholarly and historical documents offering multiple perspectives on Irish history from the 1912 Home Rule Crisis, all the way up to the end of the Irish Civil War in 1923. The historical tome features contributions from leading historical scholars on several facets of life in Ireland around the period of the revolution including gender, class, community and religion. Murphy’s connection with this period of Irish history is synonymous with viewers having featured in the IFTA Award-winning drama ‘The Wind That Shakes The Barley’ (2006). 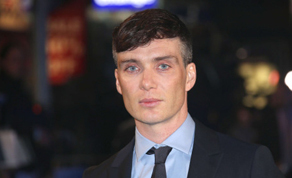 The film, which followed the fictional story of two brothers against the backdrop of the Irish Civil War, saw Murphy receive an IFTA nomination for Best Actor. In a return to the historical period, Murphy will narrate all three episodes of the upcoming RTÉ documentary. Dr Donal Ó Drisceoil a key editor of ‘The Atlas of the Irish Revolution’, was an advisor to Ken Loach on the award-winning film and he's also one of the editors of John Crowley's critically-acclaimed book. A special preview screening of Part One of ‘The Irish Revolution’ will screen in the Cork Opera House on Tuesday, 29 January. The screening will be accompanied by a Q+A session with a panel of specialists moderated by historian and broadcaster Dr John Bowman.